“With rocketing sales of Future Shock, and the constant airplay of its smash hit, “Rockit,” Hancock and Bill Laswell soon joined forces again to record the follow-up LP, Sound-System. The recording line-up was considerably enlarged to include guitarists Henry Kaiser and Nicky Skopelitis, Anton Fier on Simmons electronic drums, Will Alexander on the Fairlight CMI synthesizer, the Senegalese percussionist Aiyb Dieng, and the Gambian kora player Foday Musa Suso. Released in August 1984, Sound-System is both a continuation of and a departure from Future Shock. While the theme on “Hardrock” is redolent of “Rockit,” the heavy use of African percussion also puts it close to Sextant in creating a happy marriage of indigenous African percussion and modern technology (polyphonic synthesizers, electronic drum programming, and turntable scratching). 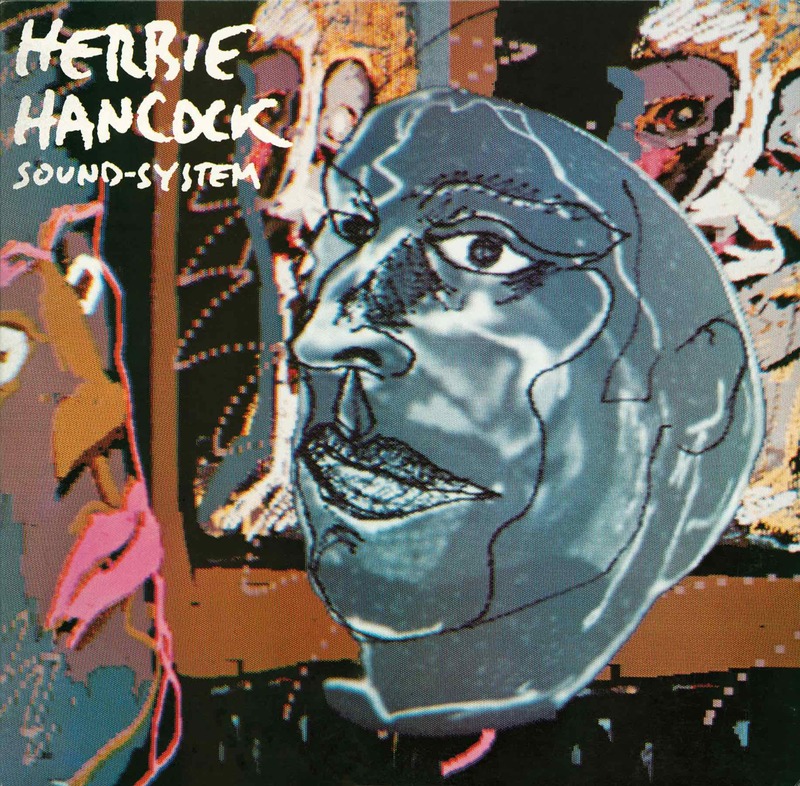 The song “Sound System” earned Herbie a Grammy Award in 1984 for ‘Best R&B Instrumental Performance’. Recorded 1984 by Rob Stevens at Evergreen Studio, N.Y.C. Additional recording by Rob Stevens, Billy Youdelman, and Lawrence A. Duhart at Garage Sale Studios, L.A.; Studio Media, Evanston, IL; and Eldorado Recording Studios, L.A.
Mixed by Dave Jerden at Eldorado Recording Studios, L.A.
E-MU 4060 Digital Keyboard – Released in 1976, this polyphonic keyboard controller included the ability to sample sounds and also featured a built-in sequencer. It could serve as a controller because of its ability to act as a trigger for other synthesizers if connected to them. Herbie used this instrument on his 1984 album Sound-System. Yamaha DX-7 – First made in 1983, this was the first commercially successful polyphonic digital synthesizer and was known for having greater clarity and quality of sound than the analog versions that came before it. This instrument was first used by Herbie on Sound-System.